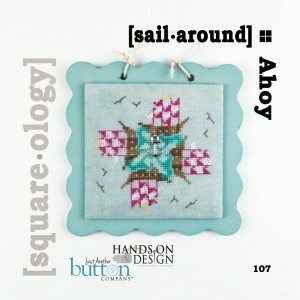 We’ve had lots of button fans ask about the frames we used to finish [square.ology] Ahoy. 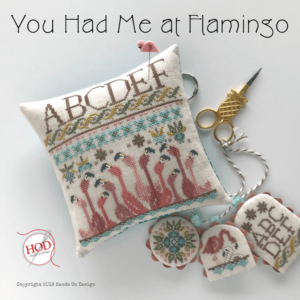 Today’s cross stitch finishing tutorial will share where to find them and how to finish them for your own Ahoy pieces. Before you start, you’ll want to read our Flat Finish Tutorial, it is the basis for all of our [square.ology] finishes and is a great finishing technique to have under your belt. 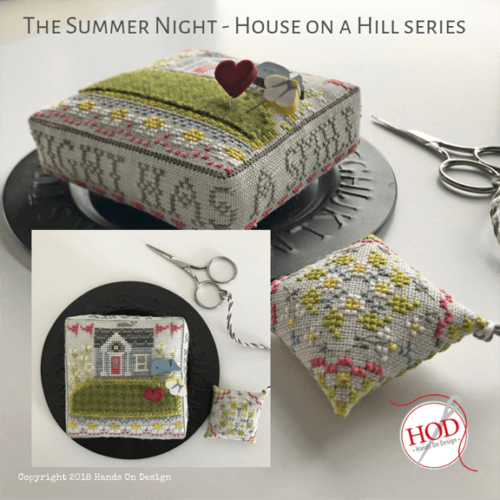 Now that you’ve read the Flat Finish Tutorial you’re ready to start finishing Ahoy! 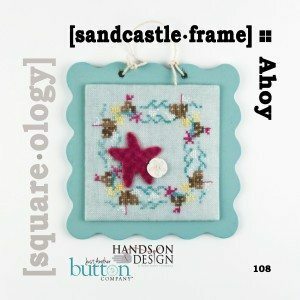 This cross stitch finishing tutorial shows how to finish the three 4″ x 4″ designs from Ahoy (Octopus Dance, Sail Around and Sandcastle Frame), however this will also work with any 4″ x 4″ [square.ology] design! 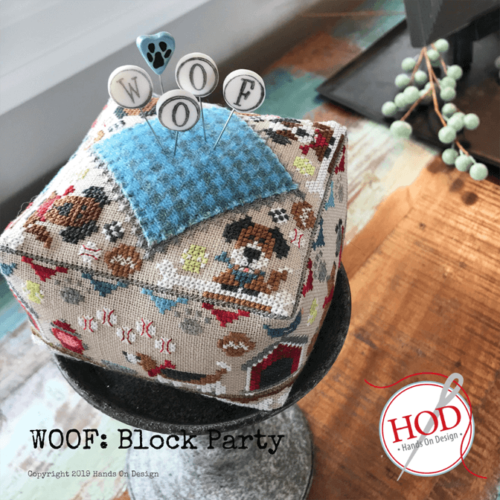 Follow the full tutorial below or download a PDF here. 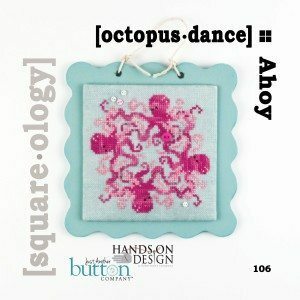 Using the complimentary [square.ology] Flat-Finish Tutorial, flat finish your Octopus Dance, Sandcastle Frame or Sail Around stitching. 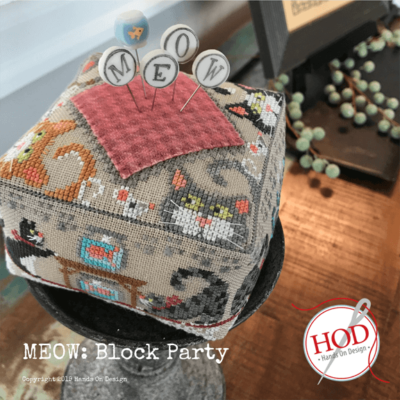 Sew any embellishments to your stitching with a sharp needle and matching thread. 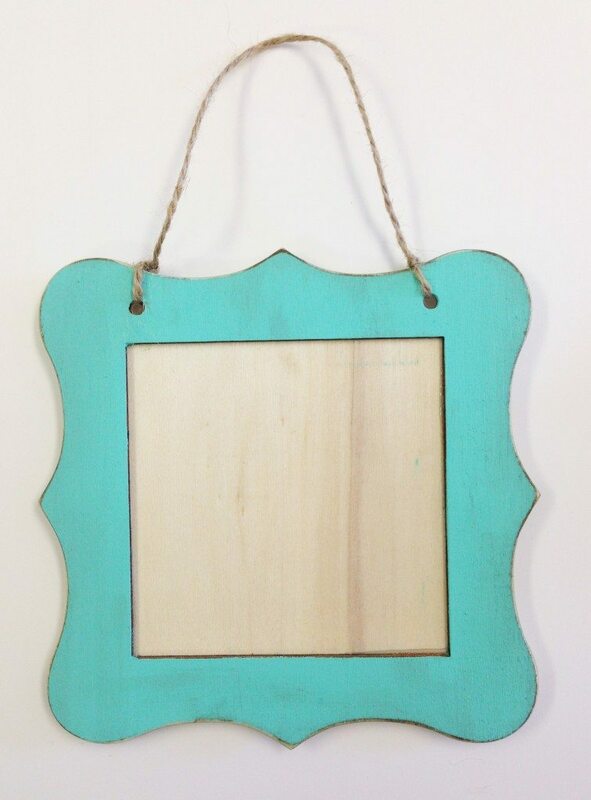 The original frames that are pictured on the chart were purchased from Hobby Lobby. 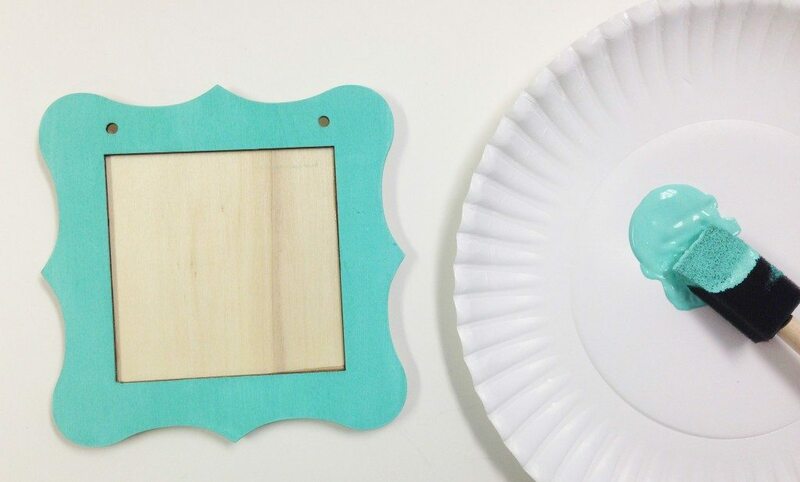 The frame pictured at the beginning of this tutorial is from Michaels. Either of these frames (or others too!) will work, just be sure the wood is unfinished. 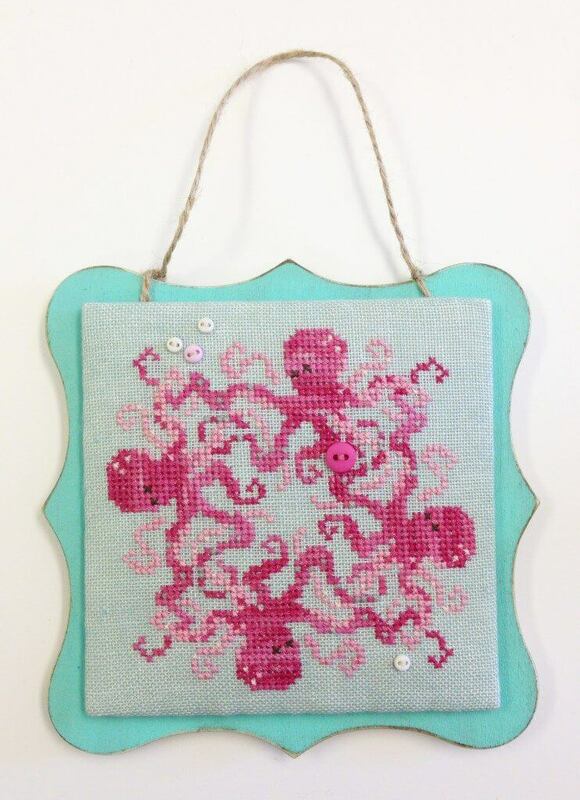 When picking a frame, take your flat finished stitching along so you can be sure the frame is big enough. Lay the flat finished piece on top of the frame to check that the edges of the frame show around the linen. Now comes the fun part —let’s play with paint! 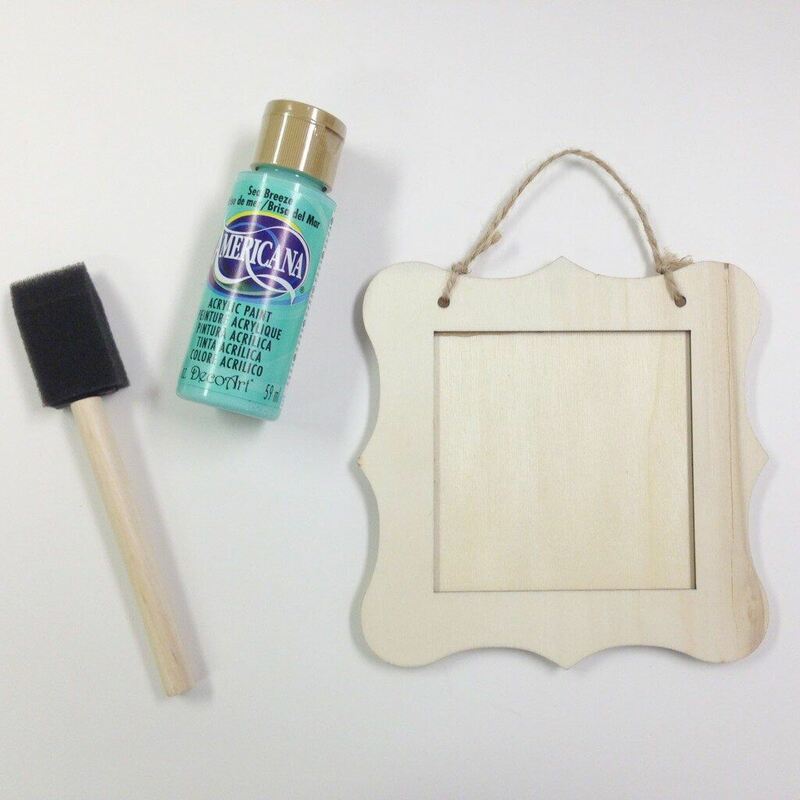 I used Sea Breeze Americana acrylic paint plus a few drops of white to achieve the color I wanted. 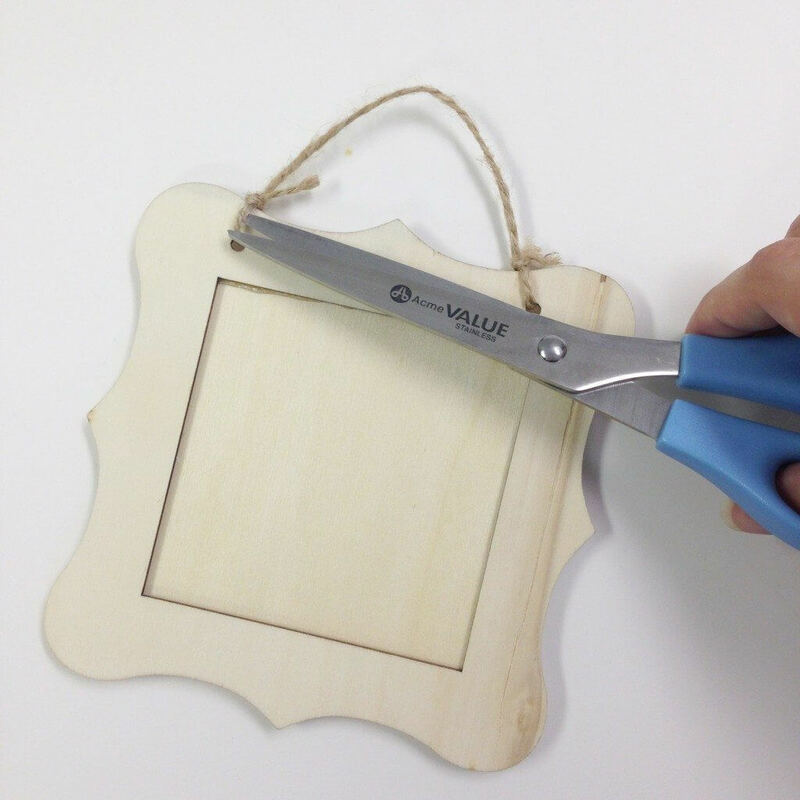 Cut the twine hanger off of the frame at the knots. Cut carefully so you can tie this piece back on at the end. 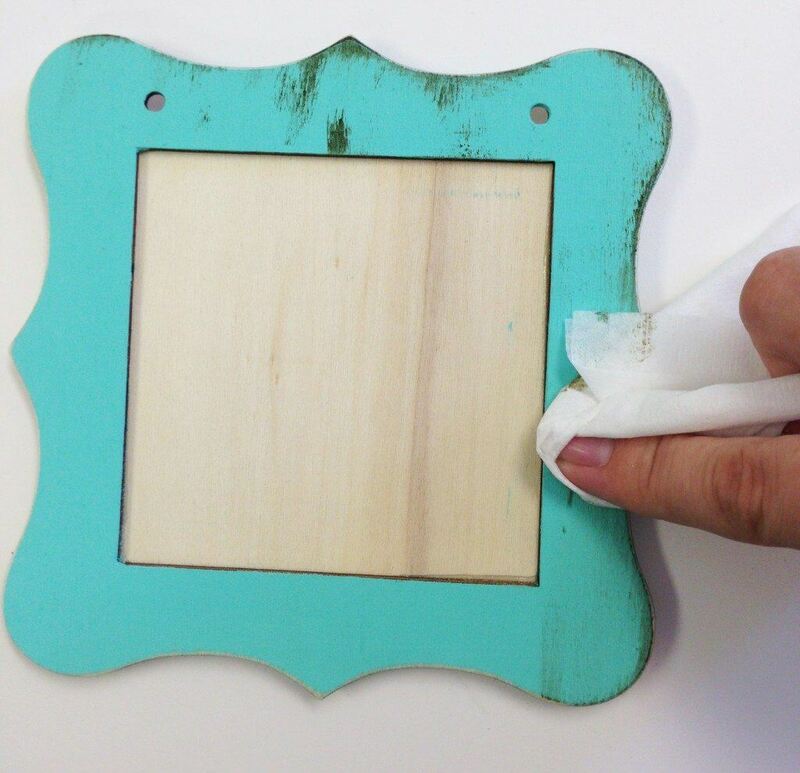 Use the foam brush to apply paint evenly to all of the frame’s edges, like the photo below. The unfinished wood will absorb the paint. There is no need to paint the middle section because it will be covered. Let the paint dry for about 15 minutes. Touch lightly with your finger to test dryness. If dry, apply a second coat of paint. This coat will take approximately 30 minutes to dry. Test the paint again with your finger to make sure it’s dry. If it is, then it’s time to sand the edges. 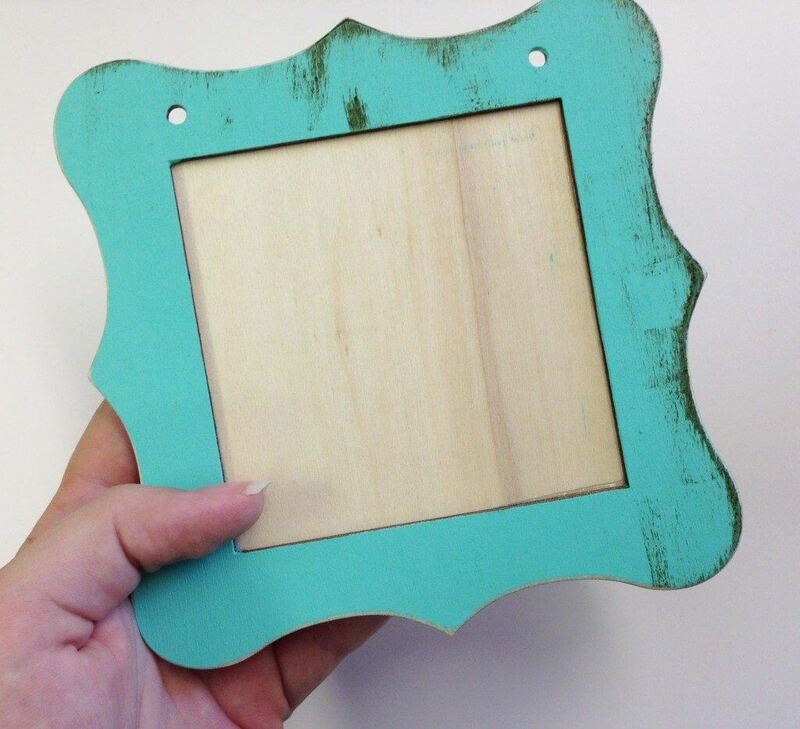 Rub the edges with a small piece of sand paper to remove some of the paint from the curves to get a distressed look. Now we’ll distress the paint. 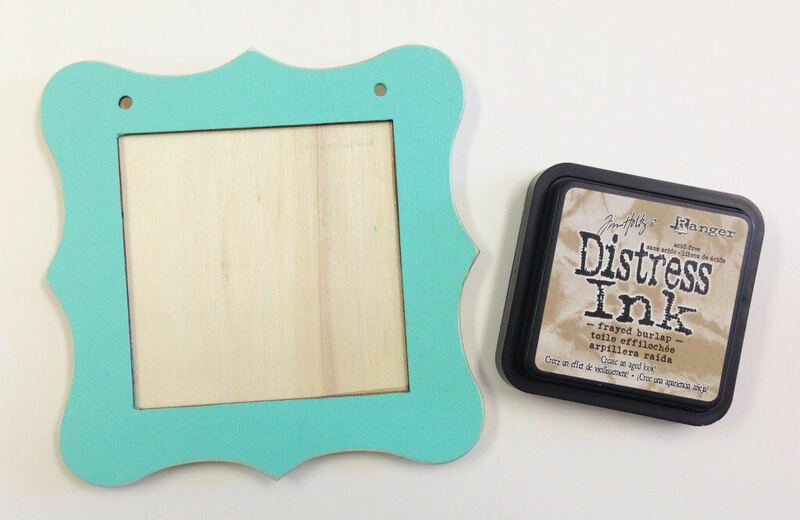 I used Tim Holtz Distress Ink—Frayed Burlap color. Take the ink pad and lightly sweep it across the paint. Don’t press it into the paint, just draw it across the surface so it brushes the frame. It will look like this. Using a Kleenex and moderate pressure with your fingertip, smudge the ink so that it is absorbed into the paint. Now it will look like this! 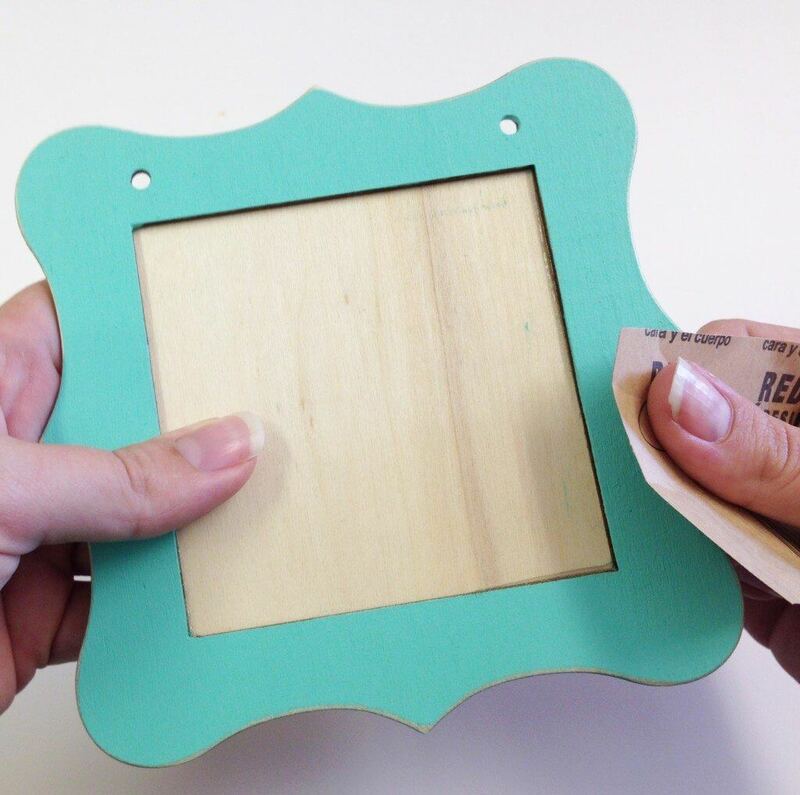 Retie the twine hanger onto the frame. Apply stitchery tape to the back of your flat finished square and remove the backing paper. Position the flat finished square in the middle of the frame so that an even amount of the frame shows around all of the edges. Press firmly to apply the stitchery tape to the frame. 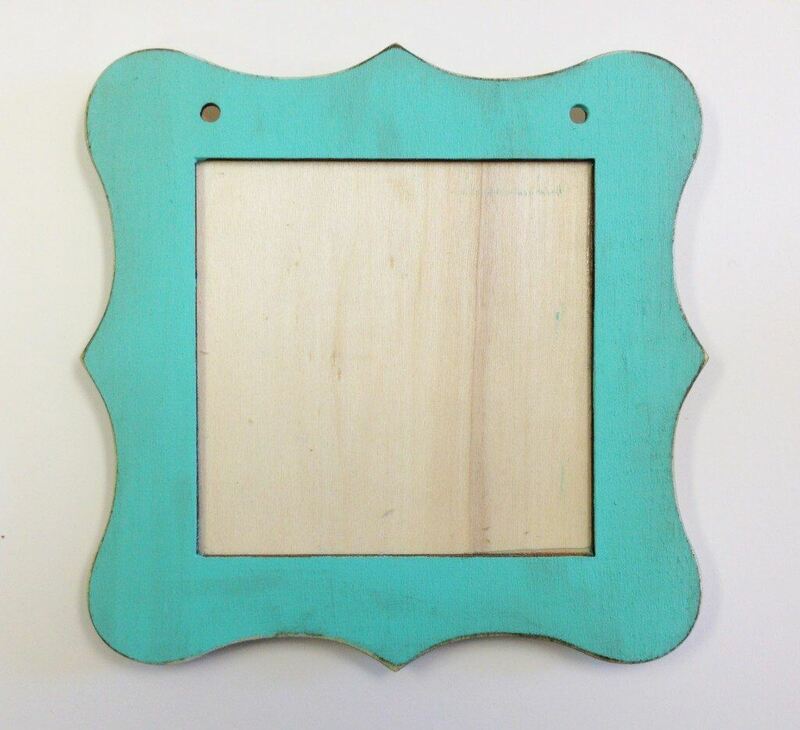 Hang your finished frame in a prominent spot so you can look at it often and admire your handy-work!